Now that BellaOnline has upgraded to a mobile friendly responsive layout, each article needs a featured image. If you are familiar with Wordpress, you know about featured images. A featured image represents the contents of the article. It appears at the top of the article and also works as a smaller thumbnail graphic in the article list. So, creating these featured images for each and every article is new to some of us here at BellaOnline. Lisa Shea, owner of BellaOnline, has provided us with many images, for which she has purchased a license. As you can imagine, this helps a lot. As mentioned before, you want your featured image to represent the topic of the article in some way. This can be as easy as an image of healthy food for an article about your favorite diet. For other topics, this will not be as obvious. When you need some inspiration or ideas for good featured images, just turn to the web. Enter the title of your article in a Google search and you will get a list of other articles about your topic. Next, click the Images link under the Google search box. This will take you to a list of images that appear in posts about your topic. You can get inspiration from these images but remember that you need a license or permission to use them. So most of the time, you will want to create your own. One option is to use photos from websites such as Pixabay and Upsplash. However, many others on the web are also using these images and they become very familiar over time. One way to make these images more unique is to isolate objects from these photos and put them together in a new composition. In fact, this can be fun but time consuming. Of course, this takes Photoshop or another software. So, what to do if you don't have Photoshop? You're in luck because many popular sites, such as Canva and Adobe Spark, give you the backgrounds, objects, text and the online browser-based software to create your own composites. 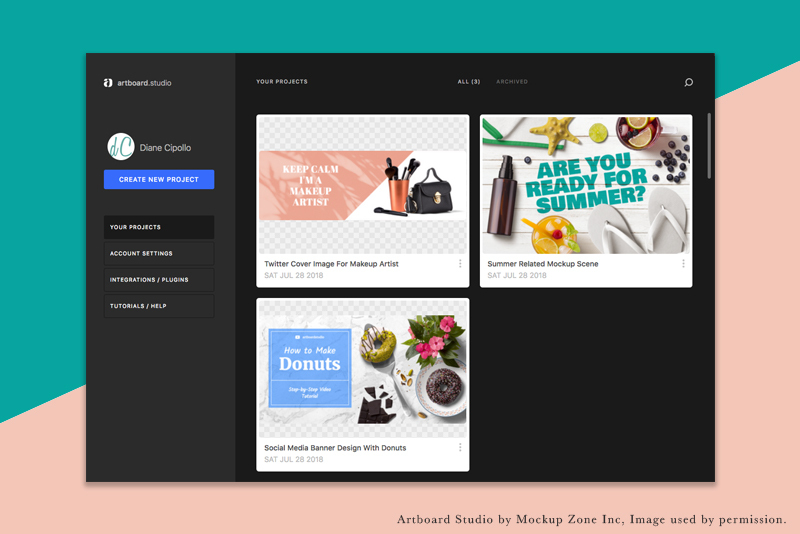 One new site that is now in beta release is Artboard Studio. As you can overlay your own designs on to objects such as an iPad or packaging, Artboard Studio is designed for creating product mockups. But you can also create great post graphics. I've been using the beta version of Artboard Studio and I really find it easy to build my own composites with this online app. You have the option to start from scratch or a template/prebuilt scene. Each object, including the background, can be moved, rotated, scaled or removed. The featured image for this article has three examples from Artboard Studio. Artboard Studio screenshots used by permission of Mockup Zone Inc.